I’m pleased to announce that I have two new poems online: “Epilogue” appears in the July 2015 issue of Gyroscope Review & “Off to ’Nam,That’s Where” is in Issue 8 of Marathon Literary Review. Please feel free to share these links. Many thanks to the editors of both Gyroscope Review & Marathon Literary Review. Also, a recent broadcast of Books Unbound, a radio program on WFHB in Indiana, included a reading of my poem “Hole” in the episode “Not Somewhere Else But Here.” (Jump to the 9:15 mark to hear my poem, but when you have time, I recommend listening to the entire program.) 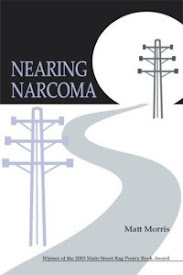 While the wrong book is attributed–“Hole” actually appears in my chapbook Here’s How, not in Nearing Narcoma, which is, by the by, a full-length book–that hardly takes away from the total coolness of hearing my poem over the radio. 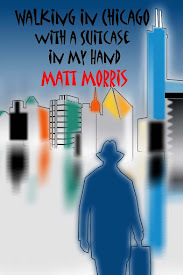 Great thanks to all the good people at Books Unbound.